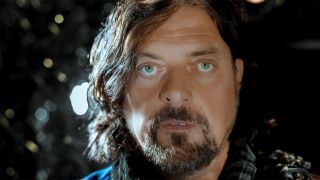 Frontiers Music have revealed that the new album from Alan Parsons will be released this spring. It’s titled The Secret and it’s set to arrive on April 26, with the first single and pre-order details due later this month. Speaking previously to Prog about his first album in 14 years, Parsons said: “The writing and recording sessions are going incredibly well. “The album already has a working title, which is The Secret, and it will include musical and lyrical themes that are very close to my heart and my own interests and passions. The Secret will be the first Alan Parsons album since 2004's A Valid Path, which saw him work with David Gilmour and The Crystal Method. Parsons also has history with new label Frontiers, having released 2010's Eye 2 Eye - Live In Madrid album with them. Parsons will set sail On The Blues Cruise on February 10 and continue his live dates throughout the year.